It seems like just about any Friday we can find a special event in the metro. 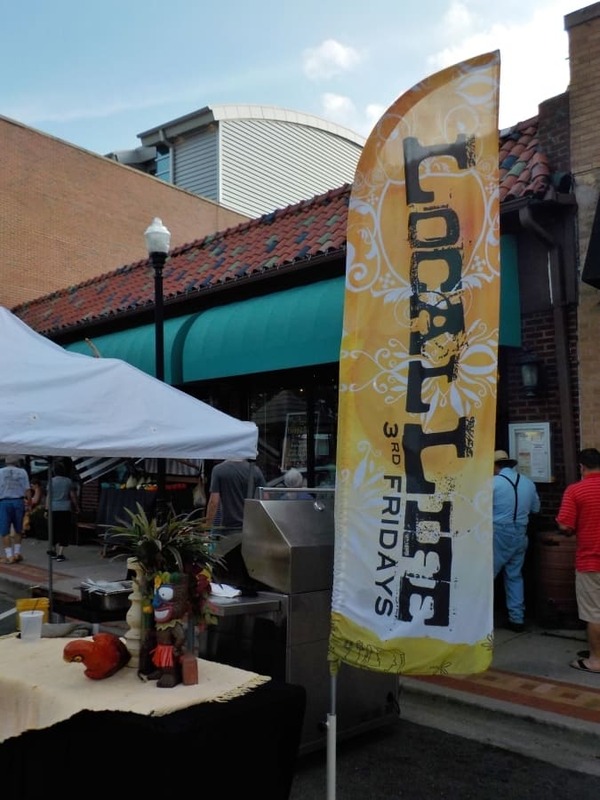 Overland Park has it’s Local Life 3rd Friday, which is held in the old downtown area around Santa Fe Drive. 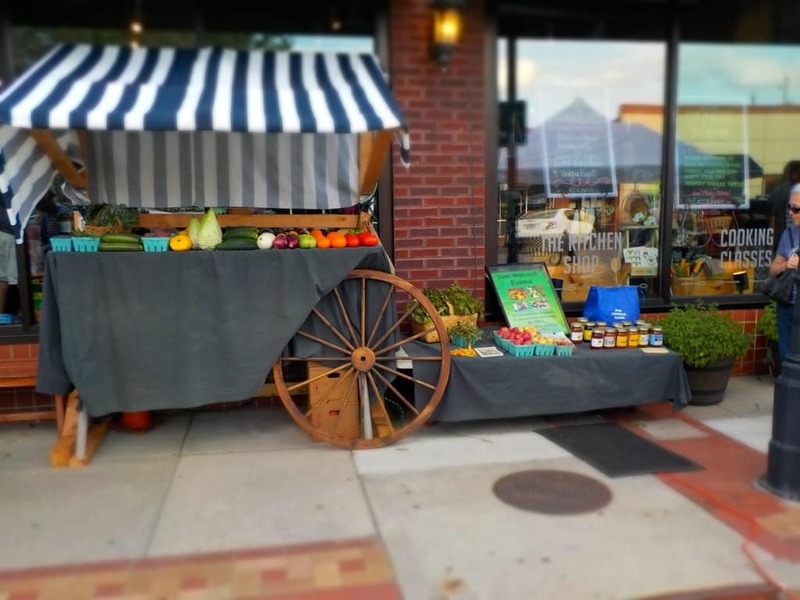 The majority of the businesses involved can be found between 79th St. and 81st St.
As the name implies, this event is held monthly on the third Friday evening, from 5 to 9 pm. During this time, businesses stay open late in the hopes of attracting sales. Couple this with plenty of street and sidewalk activities, and you have the makings of a small street fair. We will usually arrive around the six o’clock hour, and by then the crowds are a little larger. One of my favorite stops is The Culinary Center of Kansas City. This turn of the century buggy shop has been converted into a contemporary teaching kitchen and cooking supply store. During the Local Life events they roll out the red carpet to make their location as appealing as possible. In June, they featured a Caribbean Grill theme. 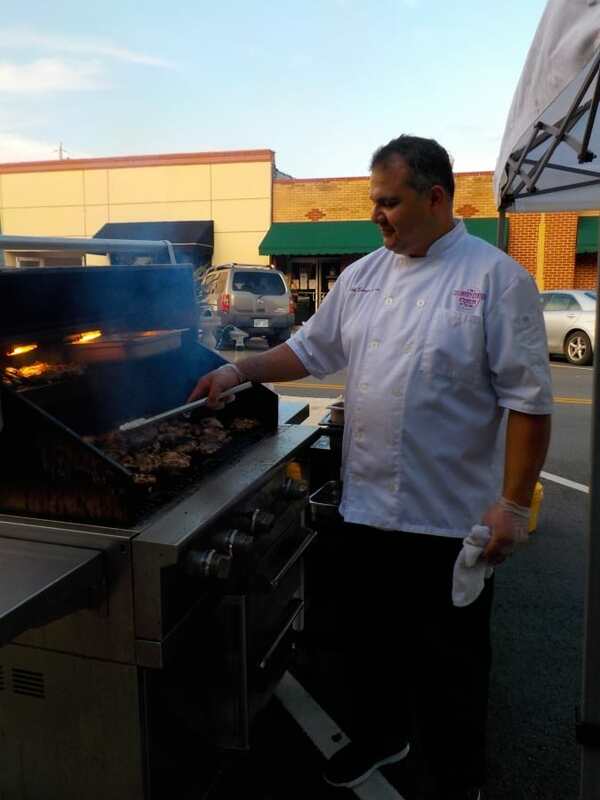 One of their chefs was grilling chicken out front, and it smelled delicious. They were offering free tastings, as well as selling small plates to visitors. Inside the Culinary Center, we encountered the sounds of a steel drum band. 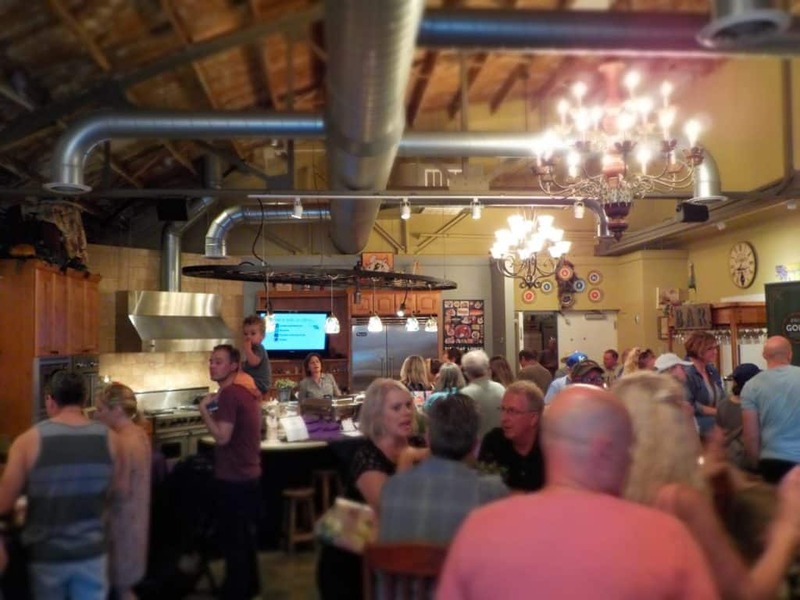 There is a large room that they use for events, and during 3rd Fridays it is always busy. Here we usually find local merchants offering tastings of small batch beers, wines, and spirits. There were also samples and small plates of food available for the crowd that had assembled. Not everyone was selling spirits. A couple of vendors had brought their locally produced products. These will rotate by who is present each time. We have seen sauces, rubs, vegetables, snacks, and even locally made candies. 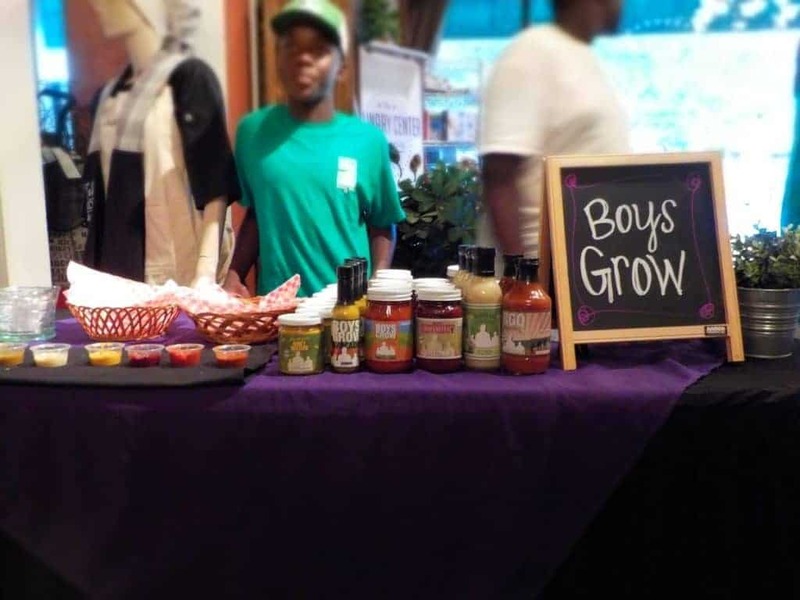 It’s a great opportunity to meet some of our local entrepreneurs, and sample their wares. This stretch of downtown Overland Park is also home to some nice shops. 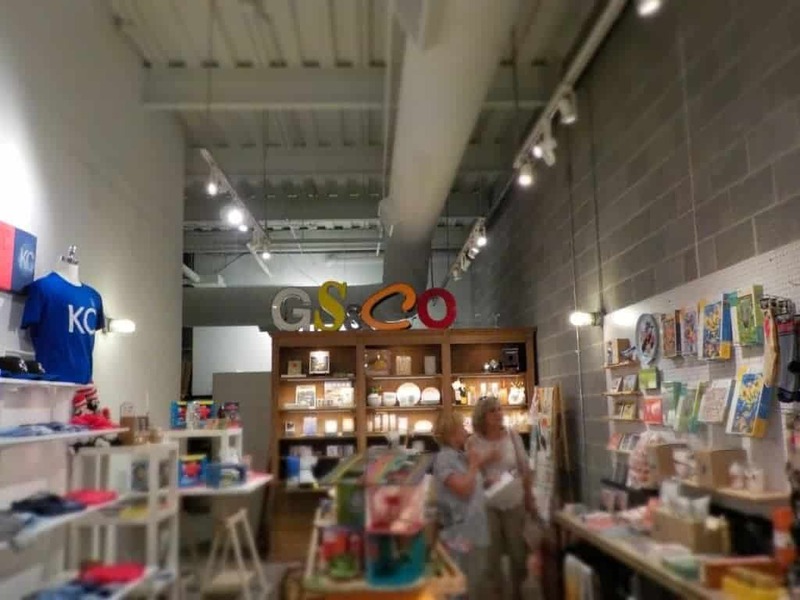 At The General Store & Co. we always find an eclectic collection of home decor items. If you are looking for that one-of-a-kind card or gift, this may just be the place you find it. It is certainly a fun shop to wander through, and quite a few of their items have a fun spin to them. Not all of the shopping has to be done in the stores. 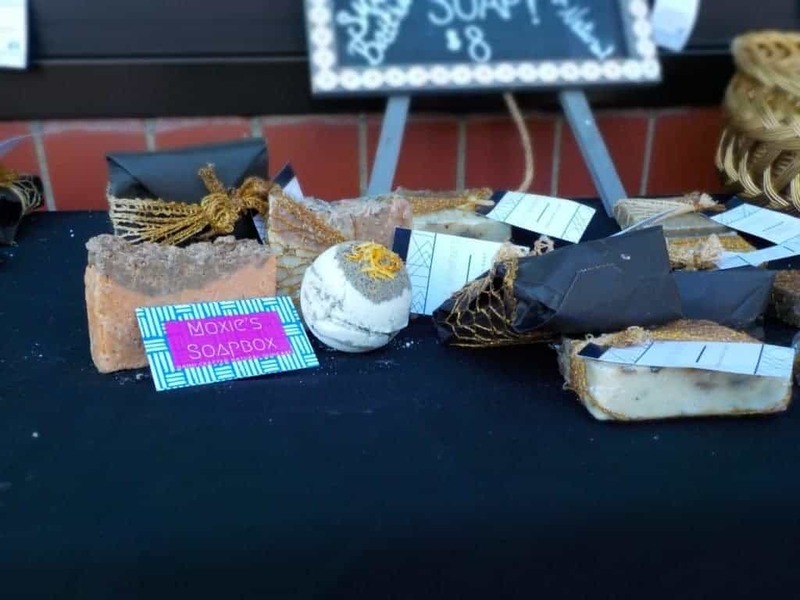 Local vendors will set up displays along the sidewalk, and offer their home-made products for sale. We found a nice young lady who was selling her hand-made soaps and bath bombs. (I guess it’s a big deal these days.) I will give her an added bonus for her creative designs. When I first saw her display, I thought that she was selling slabs of rock. Now all of this shopping, and sampling is fun, but what really makes Local Life a winning event is the music. Most months there are at least half a dozen bands performing. Many are in shops, so you have that funky ambiance while shopping. Another place to catch some tunes is right in front of the Overland Park Farmer’s Market area. It’s a good place to take a break with some pie from The Upper Crust (you can read more about this shop here>), while listening to a local band. Perhaps we will see you there in the coming months.